I’ve played a decent amount of sports & activities growing up. My father and aunt were both championship level bowlers...so I was introduced to that activity as soon as I could hold a 6lb ball. Shortly after college while working in St. Louis I was able to hold a 230 average for the better part of 2 ½ years. I was a 3 sport athlete in high school. track (pole vaulter), football player, cross country, and wrestling. I also was involved in theatre and drama in high school and college. Some of you know that I was a cheerleader in college and that lead me to my current profession as a tumbling and gymnastics instructor. Why do I bring all this up? Well I believe it takes a balance of activities to shape a good athlete. How do Tumbling Classes help when it comes to other sports? The first thing that comes to mind is how to fall. I teach a forward roll as well as a backward roll. Some people fall backwards only to go splat or possibly injuring themselves by trying to brace themself from the fall. But if you are on the soccer field and get pushed backwards and you instinctively roll through the push and end up on your feet, granted you lose the opportunity to flop, but you are right back in the action. Body Awareness! Handstands, Leg lifts, Jumping, Core Stabilization, Hip Hinge, Triple Flexion (that’s the ankle, knee, and hip that is used in sprinting) are all utilized and practiced in tumbling. We do a lot of outward movements so I also try to incorporate pulling movements in when possible to help protect the joints from injury. As with gymnastics, we teach not only static but ballistic and dynamic flexibility as well. In short, If I do slow jumping jacks that would be dynamic stretching, if I bounced on the tramp and did the biggest straddle jump I could, that would be ballistic. Dynamic - slow controlled movement throughout a range of motion vs fast movement that goes beyond normal controlled range of motion. Lateral (sideways) movement, I always have the kids do side shuffle when we warm up as well as using bands to strengthen the abduction and adduction of the legs or pulling apart and pulling together of the legs, respectively. Linear - moving in a straight line. Although we are rotating usually, we are trying to travel in a straight line forward or backwards. Multi Planar - this means moving in different planes of the body. Basically there is the Top & Bottom (Transverse) plane, the Frontal plane (front and back), and the Right & Left (sagittal plane). Great news - there isn’t a test but here is an image in case you need it. 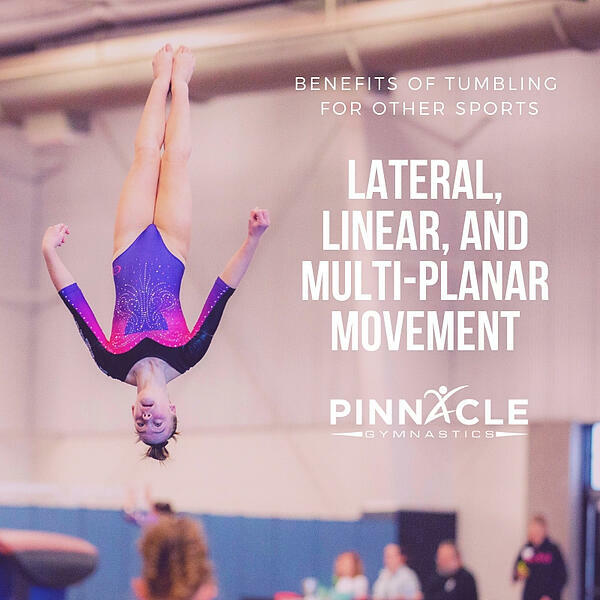 We use all of them when we tumble and in most sports, although you might be surprised at what movement takes place in each of the three planes….maybe another time. Just know that good athletes need to be efficient at all three movement planes. 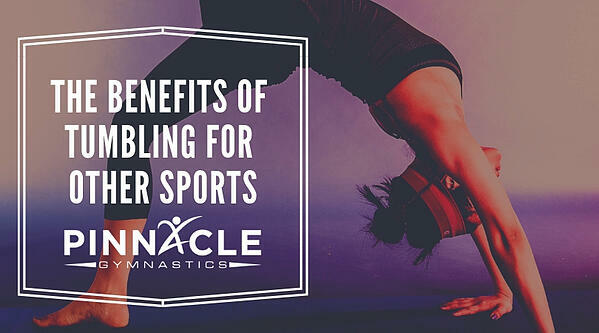 Tumbling is, for the most part, and anaerobic activity. That means that we do it usually without having to take in oxygen. We could also use the term a little differently since we need to condition the mind and body to do the same movements in an efficient manner to produce the desired results. If we cross our arms down in front of our body while doing a cartwheel it will most likely result in a short, diagonal moving cartwheel. If we continue to use this technique when faced with a round off back handspring, that trick will also go diagonally if one can power through doing the round off inefficiently. When you jump rope or run or bike, that is aerobic. Weightlifting, swinging a club, or power moves are anaerobic. So doing a single cartwheel or back handspring would be a power move that is over quickly then possibly repeated. So depending on your trick or pass you will not actually take in air to do the move but after your muscles will require extra O2. Che out these conditioning ideas for kids. In conclusion, there are a lot of sports out there that utilize a dominant side throw or swing. Golf, Tennis, Baseball, Shot Put, etc. Some sports try and teach the importance of balancing out both sides, wrestling comes to mind first, then football specifically the offensive and defensive linemen. Now, most tumblers are not ambidextrous, but I have met a few that can round off pretty well both directions. Dance is another great activity that should be teaching balance - i.e. not falling down, and unilateral direction/movement.